1. Dust cubes of lamb with cumin powder, divide onto skewers and grill until cooked. 2. 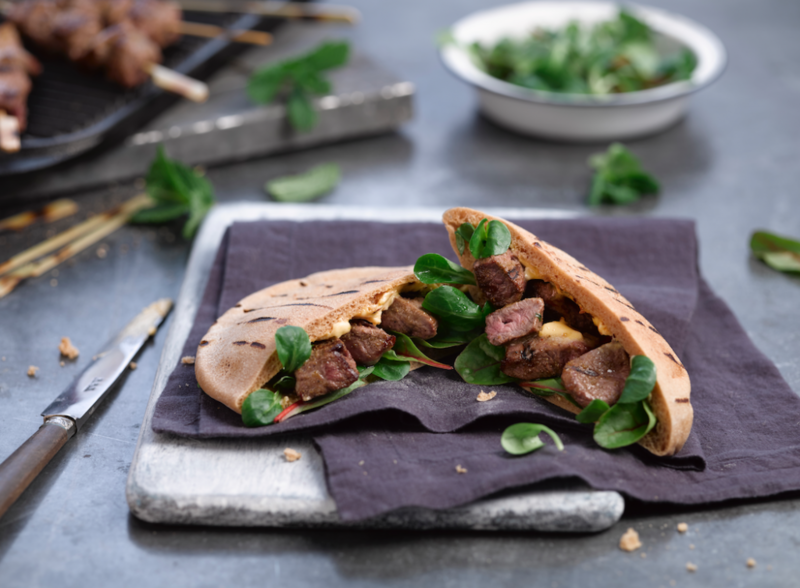 Toast the pitta lightly and cut it open, spreading the inside generously with Lurpak® Spreadable Infusions Chilli & Lime. 3. Fill the pitta with spinach/chard and Greek-style yoghurt mixed with the mint.